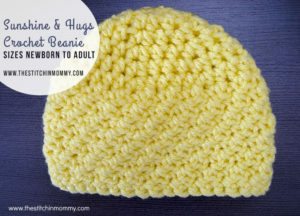 This pretty textured hat pattern is available in all sizes from preemie to adult large. It’s got a lovely texture that’s totally perfect for both genders. The pattern recommends Baby Hugs Medium Yarn and a J crochet hook.